Thank you for your interest in connecting with the exceptional student and alumni talent of Franklin & Marshall College (F&M). We are extremely proud of our 230+ year history of academic excellence and continue to prepare our graduates to become innovators and leaders. Our focus on a strong and diverse liberal arts education encourages our students to think critically and ultimately transform theory into practice, in an ever-changing and challenging world. 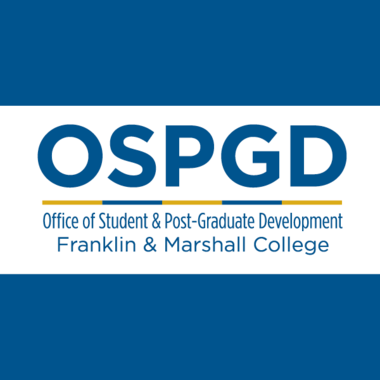 There are numerous opportunities for our employer partners to connect with the Franklin & Marshall College community. Whether you are looking to participate in on-campus recruitment events, or attend our career fair, F&M will work with you to create the most effective ways to support your recruitment needs and strategies. We also consider our employers to be "thought partners" in that we wish to engage in dialog regarding changing trends in industry, student culture, intellectual development and skill set development. We thank you in advance for choosing to partner with us and we hope that you will take advantage of all Franklin & Marshall College has to offer. Please take the time to explore the information on our website and do not hesitate to reach out to our office if you have any questions. We look forward to working with you!